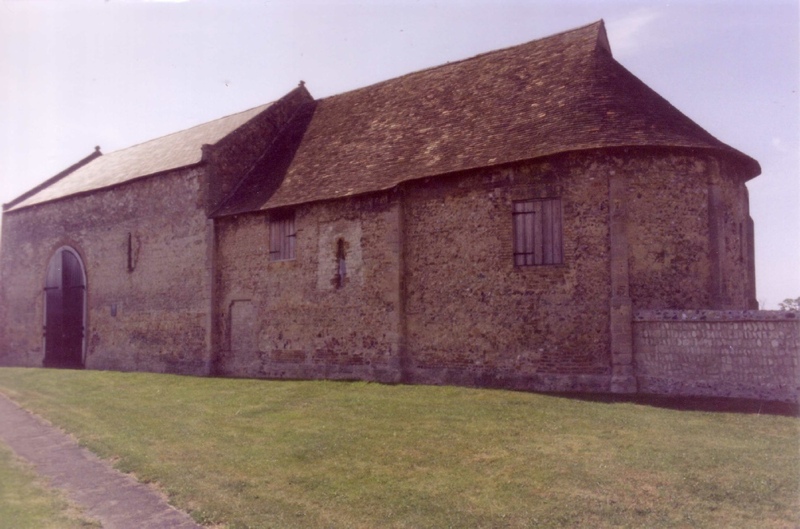 At the time of Domesday Alan of Brittany held estates at both Isleham and Linton and it was probably he or one of his successors, the Breton Lords of Richmond, who gave this church of Saint Margaret of Antioch at Isleham to the Abbey of Saint Jacut-de-la-Mer in Brittany, at a date between 1086 & 1163. The two churches and their lands were thereafter reckoned as an ‘alien’ priory administered on behalf of Saint Jacut by a resident monk, who was rector of Linton and held the title or Prior. Although some of the Priors had fellow monks to assist them, the numbers were too small for regular conventual life and no cloister or monastic buildings were ever erected in connection with either church. The Priory had a troubled history. In the 13th Century it was involved in disputes with the neighbouring parish church of Isleham over tithes. In the 14th Century an attempt was made to intrude an English monk into the position of Prior in place of the nominee of the Abbot of Saint Jacut. During the Hundred Years War the property was confiscated by the Crown, because it contributed revenue to an Abbey in enemy territory. The building remains an excellent example of a small Romanesque church of about 1100, never extended, little altered and showing extensive herring bone courses of masonry. The nave of two bays is lit by narrow, round headed windows with deep splays and by a rather larger window and three bulls-eye windows in the west gable. The nave is divided from the choir by a fine round headed arch on attached columns, while the choir is divided from the sanctuary by a similar arch on rectangular responds. This last was demolished early in the 19th Century. The apse has three narrow windows like those of the nave. In the 13th Century a north doorway was inserted into the nave and the flanking windows of the apse were renewed. Towards the end of the Middle Ages the west wall was buttressed. The great doors in the south wall belong to the period when the building was used as a barn.